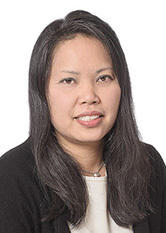 Wendy Lee practices real estate and corporate law and has extensive experience in various commercial transactions, with a special emphasis on joint ventures, retail leasing and real estate financing. Her clients range from closely-held entities to large institutions. Ms. Lee provides strategic counseling and representation to both financial partners and sponsors in joint venture transactions for the ownership and operation of office buildings, residential apartment complexes and shopping centers. She also has extensive experience in negotiating and drafting shopping center leases on behalf of commercial property owners, developers and tenants. Ms. Lee also represents financial institutions in senior and mezzanine financings, and the purchase and sale of portfolios of commercial real estate loans and properties. Ms. Lee is a member of the American Bar Association.